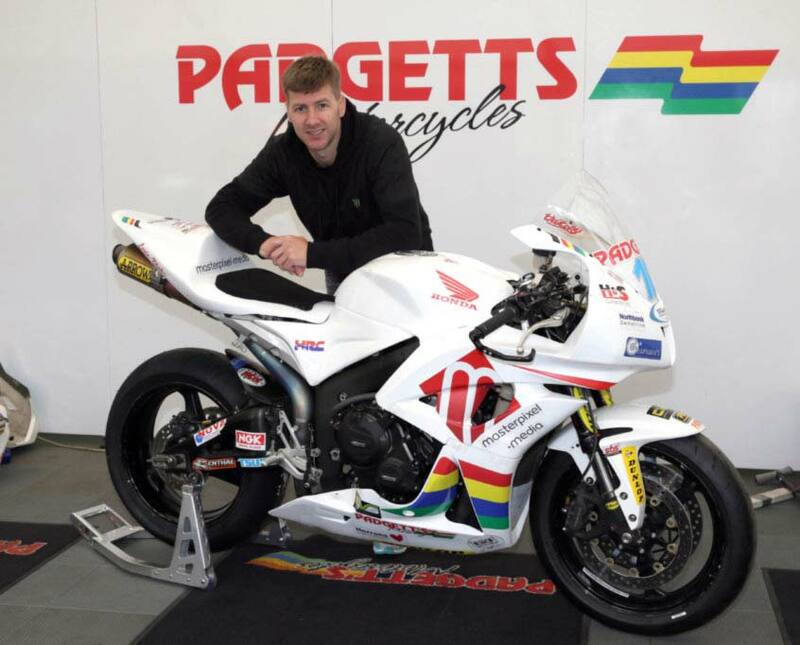 Ian Hutchinson will ride a Padgett’s Honda CBR600RR in both supersport races at this week’s North West 200. The three times North West winner will ride the Padgett’s machine alongside Honda Racing Fireblades in the Superbike and Superstock events. It will be the first time the 38 year old has ridden with Clive Padgett’s squad since winning five TTs in 2010 with the Batley outfit. “Originally I had planned to ride with the Honda Racing team in all three races but because I didn’t know until just two weeks ago that I would be able to race those plans changed.” Hutchinson explained. Padgett explained that Anstey, who is locked in a battle with cancer, has given his blessing to Hutchy riding his bike. “I rang Bruce and asked him if he was OK with Ian riding the bike and he had no problem with it at all.” he said. Conor Cummins will ride in all three classes at the NW200 with Padgett’s and Lee Johnston, Hutchinson’s Honda Racing teammate, will also campaign a Padgett’s CBR in the Supersport races at the NW200. Hutchy had also been hoping to ride an ER6 KMR Kawasaki in the supertwin class at both the NW200 but it is understood Honda has vetoed the deal. The 2018 North West 200 will mark Ian Hutchinson’s return to the roads after breaking his left leg in a crash during last year’s Senior TT. “Tuesday practice will be steady but it will tell me where I am at with everything.” the Bingley man said. After his crash last June the Yorkshireman had to wear a stabilising cage on his left leg. The cage was only removed two weeks ago and Hutchy immediately began testing and racing the Honda Racing Fireblades at Mallory Park. “I did 190 laps over three days at Mallory and then 49 laps at Cadwell.” Hutchy explained. Hutchy says he has no specific goals for the North West but the long-term aim is to patiently work his way back to his winning ways that have produced three North West successes to date. “Eventually I want to be back winning races but at the moment I don’t know how soon that will come.” he said.